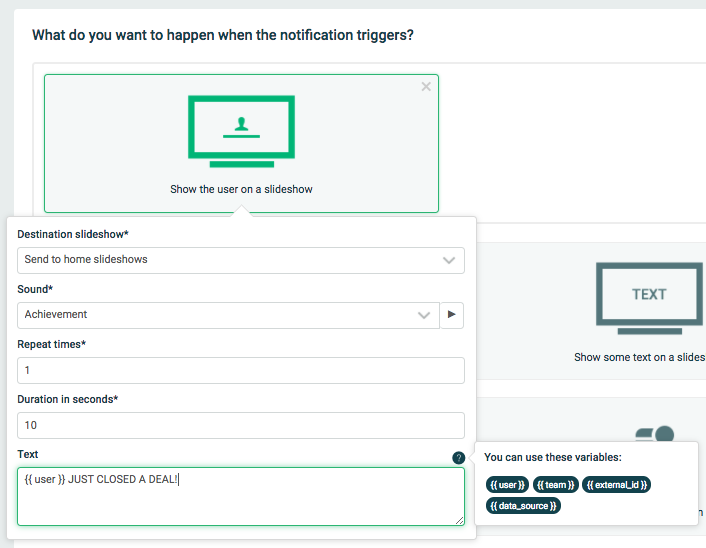 In most of our notification types you can type a text to show on the slide show. Instead of just showing a static text, you can use tags to create a dynamic text. Click the question mark next to the Text field in the trigger setup, and you'll see the variables from the data source. Click on the variables to add them to your text. You can decide the how many decimal points a number in a notification should have by using the floatformat filter.